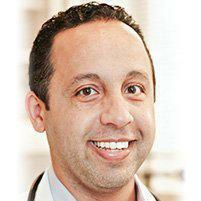 Dr. Eidagh treats patients from throughout New York who are living with ADD and ADHD at his East Village office. Attention and hyperactivity disorders are not uncommon and often successfully treatable. Dr. Eidgah sees patients from around the surrounding area including Union Square and Downtown New York. ADD stands for Attention Deficit Disorder and ADHD is the acronym for attention deficit hyperactivity disorder. These mental conditions are most commonly diagnosed in children but can also manifest in adults. In most cases, adults continue to have symptoms when the condition is left untreated as a child. ADD and ADHD affect a person’s ability to focus, retain information, concentrate, and maintain self-control. Those with ADD often have trouble with paying attention and impulsiveness. People diagnosed with ADHD often have issues with hyperactivity, behavioral self-control, and paying attention . How do the forms of ADHD differ from each other? There are three classifications of ADD/ADHD: Predominantly inattentive, Predominately Hyperactive, and Combination. The symptoms associated with being inattentive include trouble paying attention or listening when another person is speaking. Patients with this form of ADD/ADHD also have trouble focusing on one task at a time and are easily distracted causing them to have trouble retaining or learning new information. The predominantly hyperactive form typically presents symptoms like fidgeting, not being able to sit still, talking all the time and may have trouble participating in quiet activities. What symptoms are connected with ADD/ADHD? These symptoms are common, but not a full list of associated behaviors. For diagnoses, the child will present at least six qualities from a category. How can a parent tell if a child's behavior is abnormal? Many of the behaviors associated with ADHD and other mental health disorders are extreme versions of normal behaviors and characteristics of a developing child. However, if a child’s demeanor or activities are disruptive to the family and last for more than six months professional assessment should be sought.